I don't know whether it's because I am around the same age as the protagonist, but I identified with Stella as a character from the first chapter. While not all her situations were familiar to me, I could relate to enough that I really felt for and understood her as she tried to puzzle out the drama surrounding her. Alongside the memorable characters and intriguing plot, I also fell in love with Ives' prose. So often these days, writers are told to dumb-down their text, omitting certain punctuation. It was, therefore, a breath of fresh air to read more complex, thoughtful sentences, with diverse grammar and phrasing. That alone was enough to make me fall in love with this book! 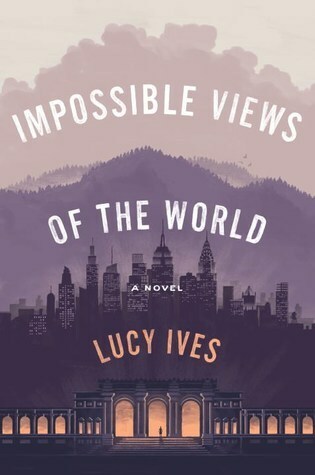 Impossible Views of the World kept me invested in the characters and the action from start to finish and it was a thrill to pick it up each night and continue with the tale. For lovers of intellectually stimulating and thoughtful literary fiction, this book is a must read!